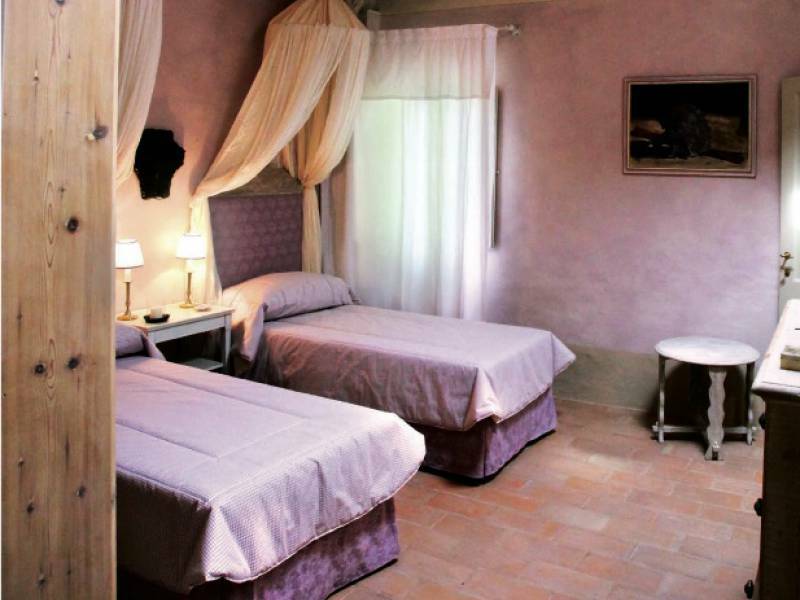 When you arrive at this agriturismo, on a quiet road through vineyards and olive groves, it is hard to believe that you are actually so close to Siena. 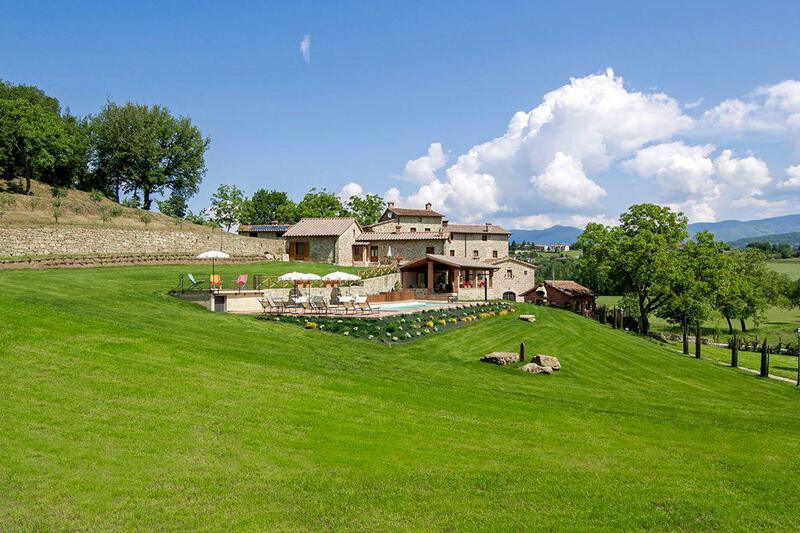 Once at the agriturismo from the terrace you can see Siena on the other side of the valley. 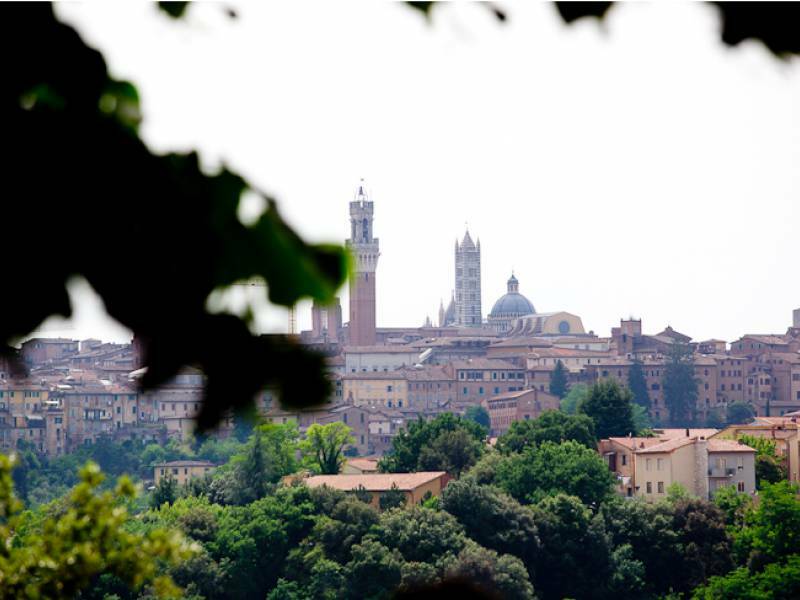 The tower of the famous Piazza del Campo rises above the rest! 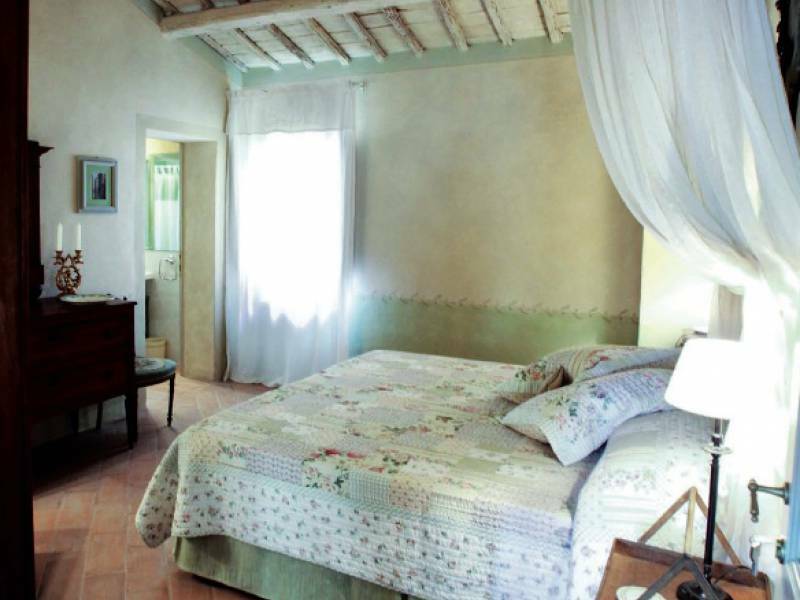 Located in a superb position between the Chianti area and Siena, is this carefully and completely renovated agriturismo. 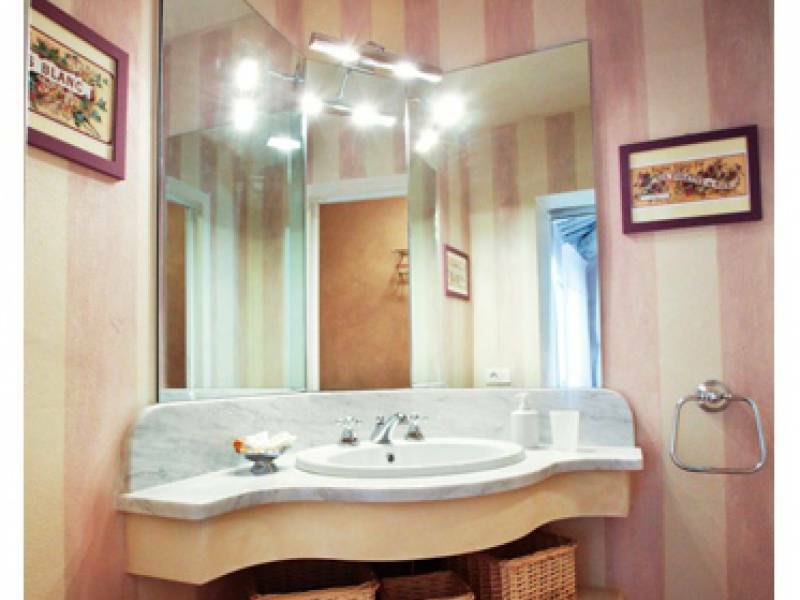 With attention to detail owner Letizia, a former designer, in recent years has converted the 18th- century manor house into a cozy and charming accommodation with 6 double rooms. 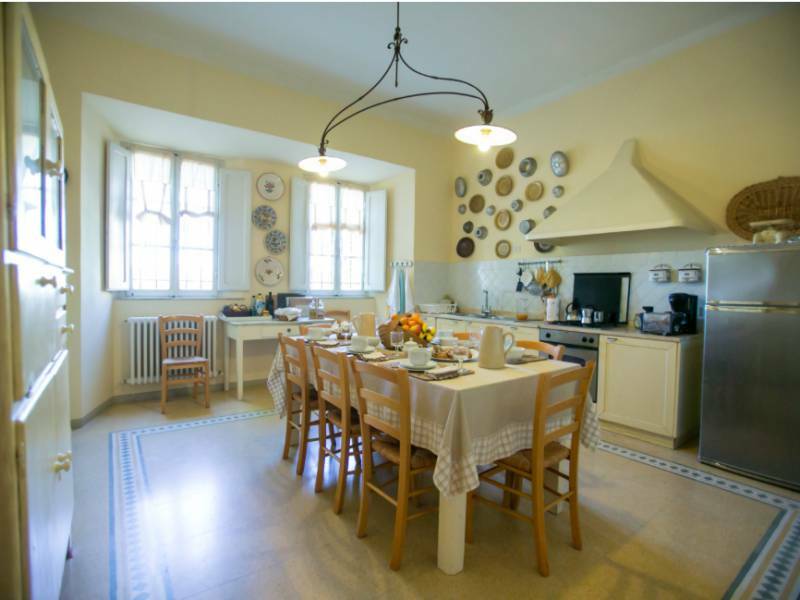 There is also a shared living room and a beautiful terrace where in the summer breakfast is served. 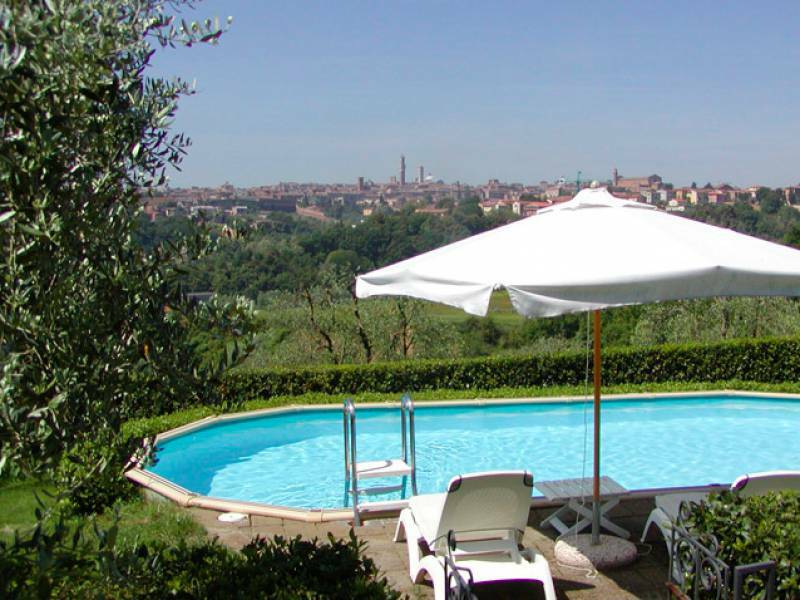 From the pool you have panoramic views of the surrounding hills with olive groves and of Siena. 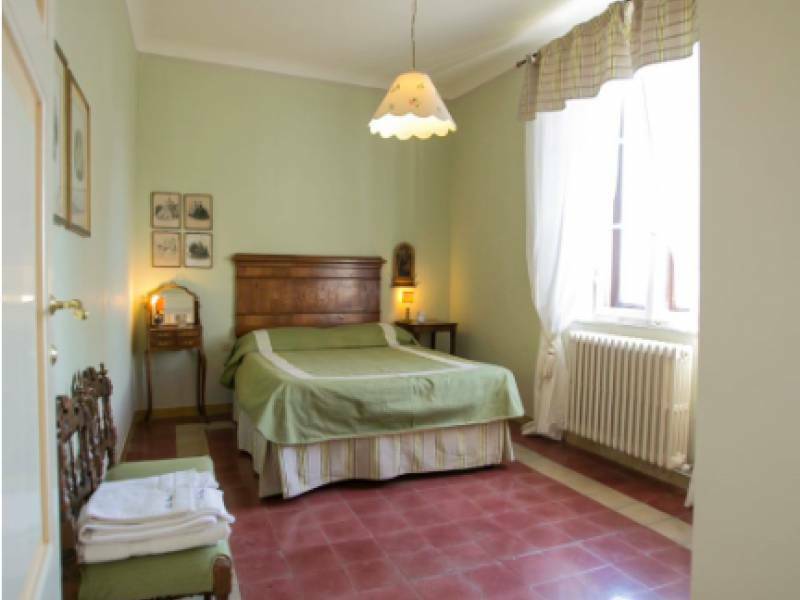 The town is just 3 km from the agriturismo and within walking distance is the bus stop to go to the city. 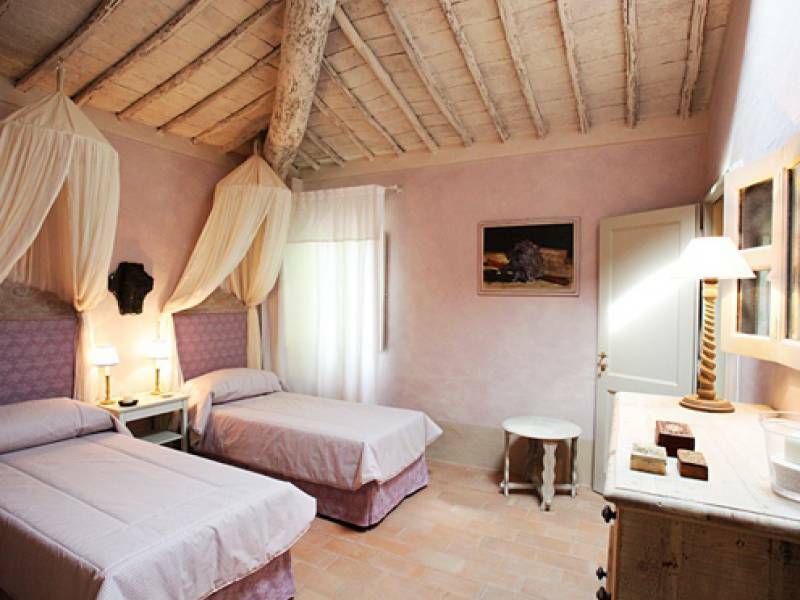 The agriturismo has 6 comfortable double rooms over two floors. 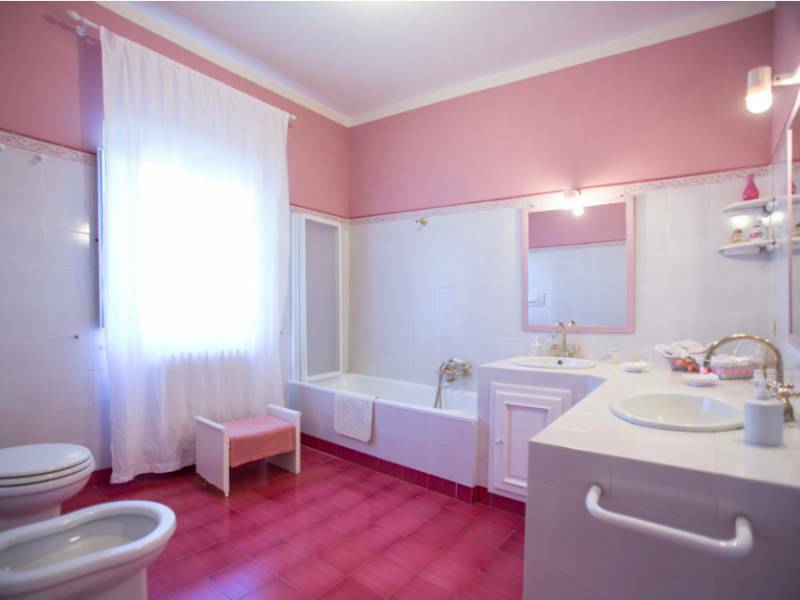 The rooms are tastefully decorated with warm colors and all feature a private bathroom and are equipped with air conditioning, LCD satellite TV and WIFI. 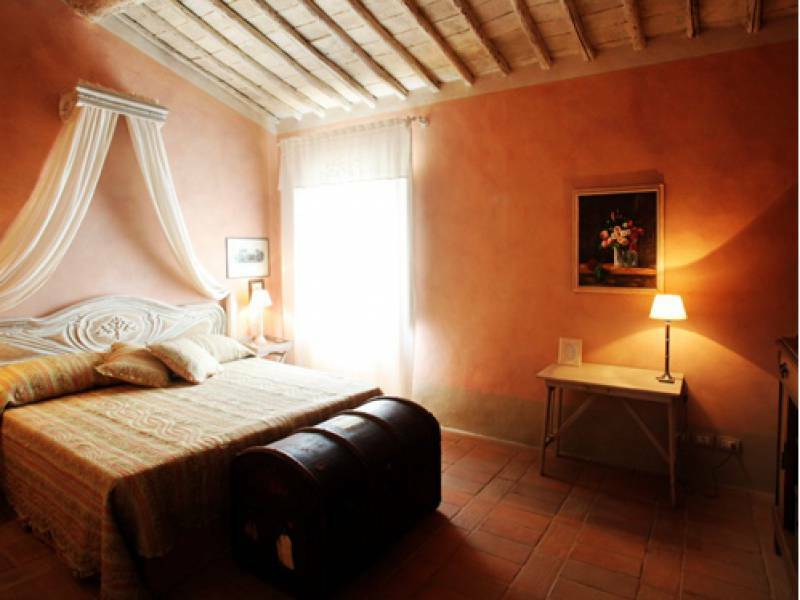 An elegant and relaxed agriturismo just a stone's throw from Siena. 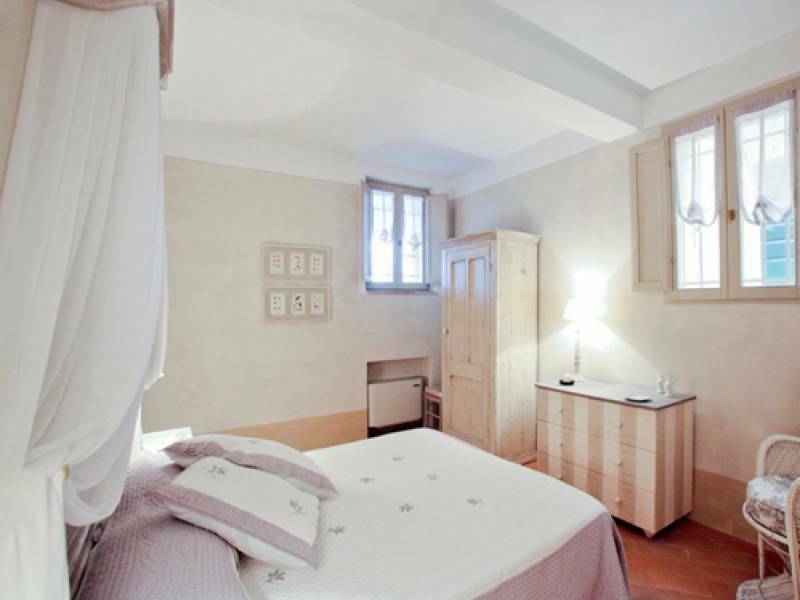 Ideal to explore the city, but also a good base for the nearby Chianti area. Also famous towns such as San Gimignano, Volterra and Florence, all can be reached in less then an hour. 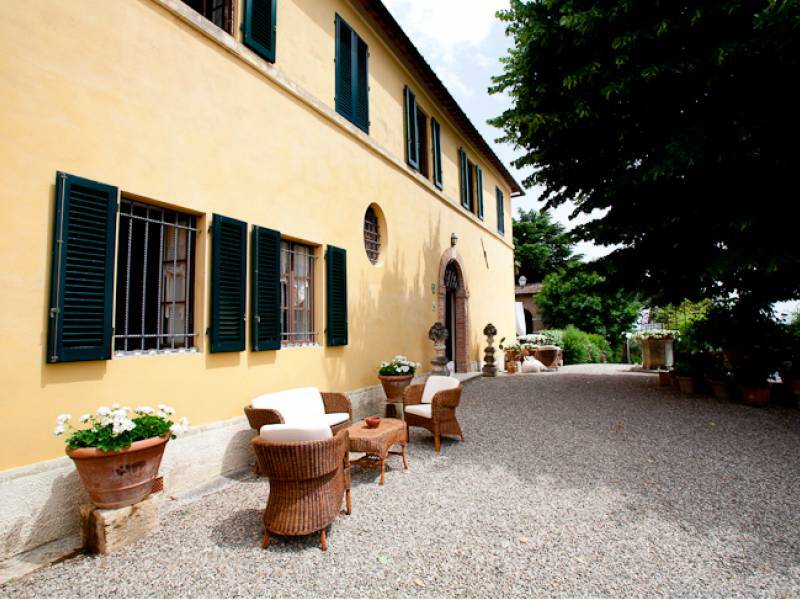 Next to the agriturismo is a beautiful 16th century villa, of the same owner. 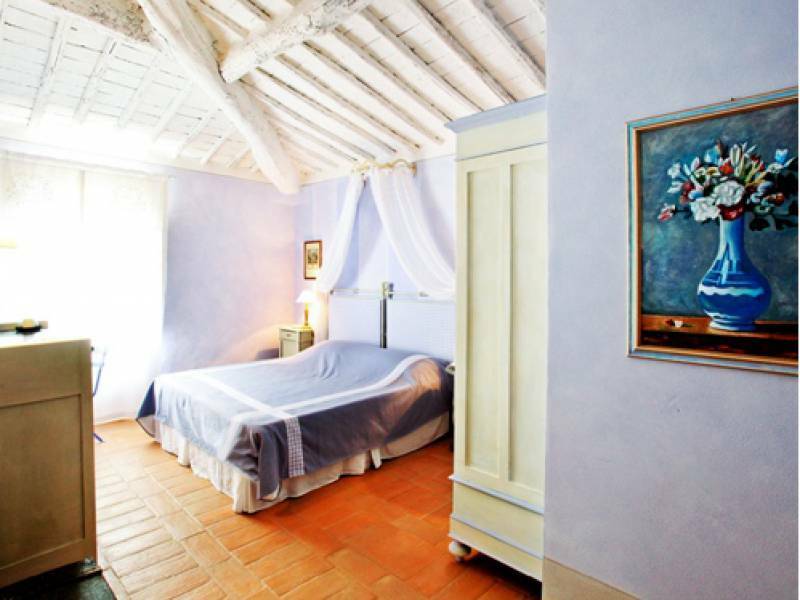 The villa has a small chapel, a rose garden, a private pool and the same beautiful view of Siena. 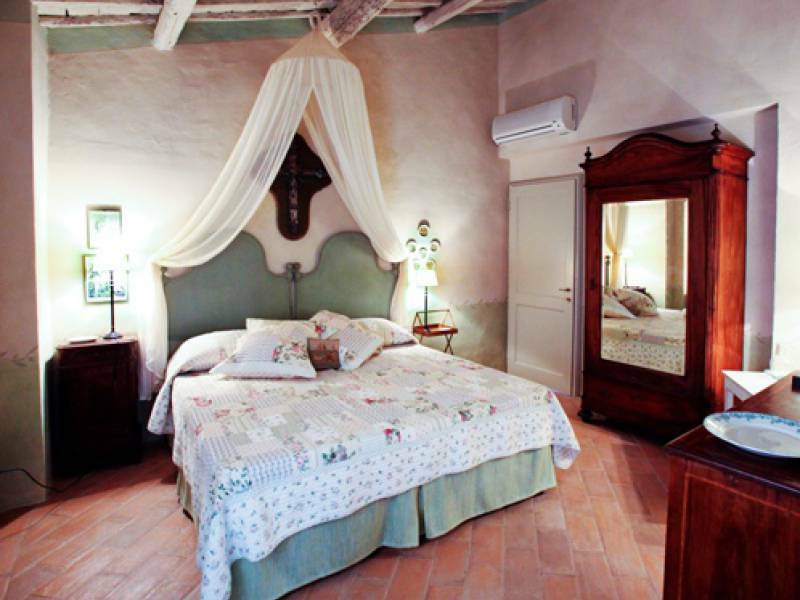 The villa is in Art Nouveau style with spacious and bright rooms decorated with antique furniture with modern details. 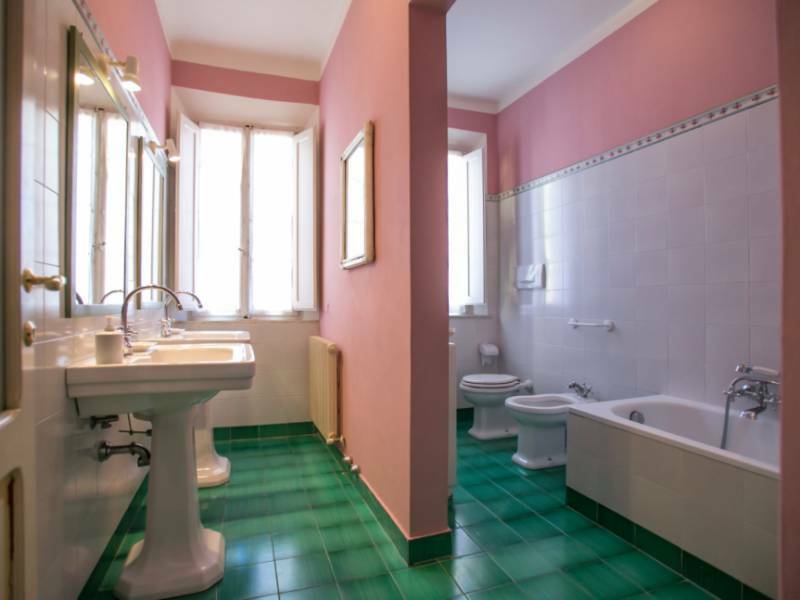 The beautiful original marble tiled floor is typical of that era. 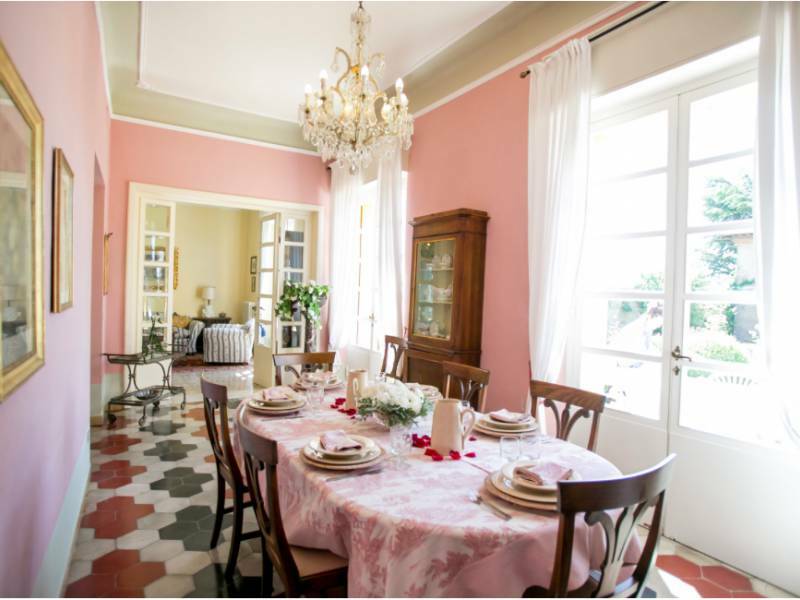 The villa has a spacious living room, dining room, kitchen with oven and dishwasher, four double bedrooms, two single bedrooms and in total 4 bathrooms. 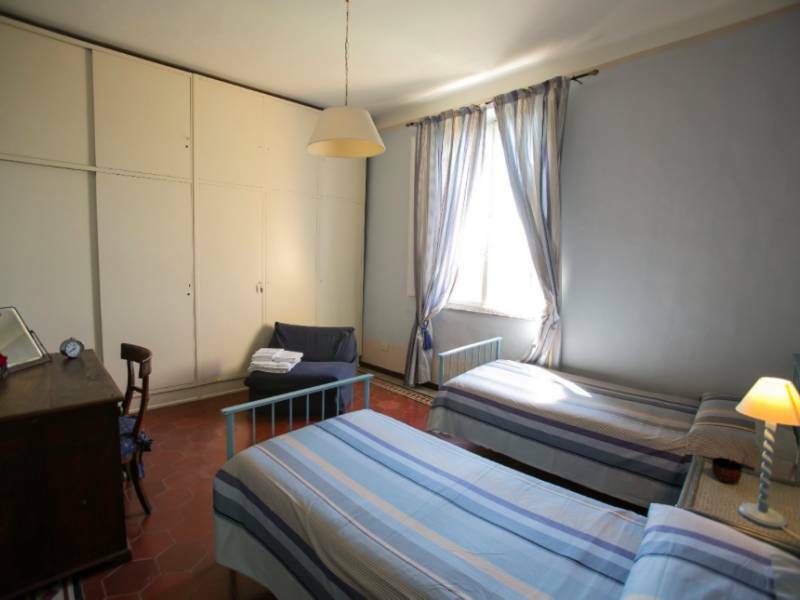 Room with double bed (or two single beds) and private bathroom. The room is very tastefully furnished with warm colors and is equipped with satellite LCD TV, wifi and air conditioning. 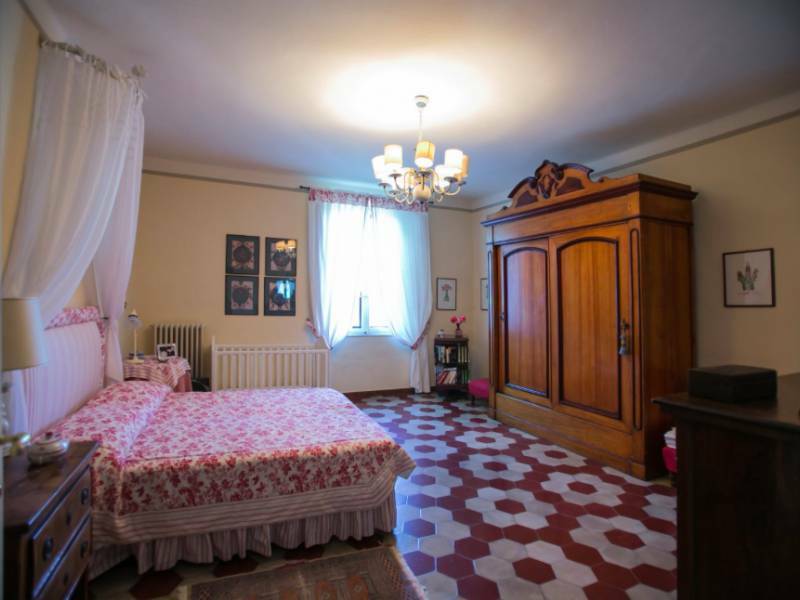 Room on the ground floor with double bed and private bathroom. 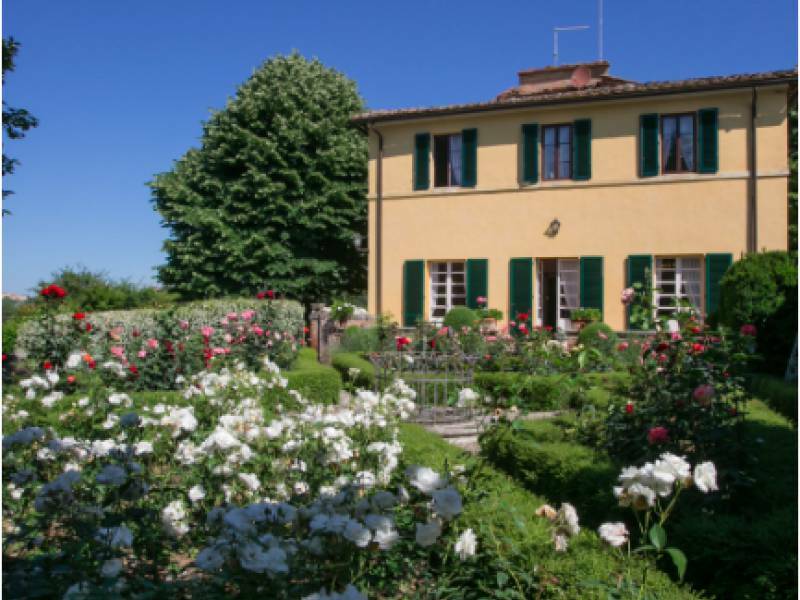 The villa has a small chapel, a rose garden, a private pool and great views of Siena. 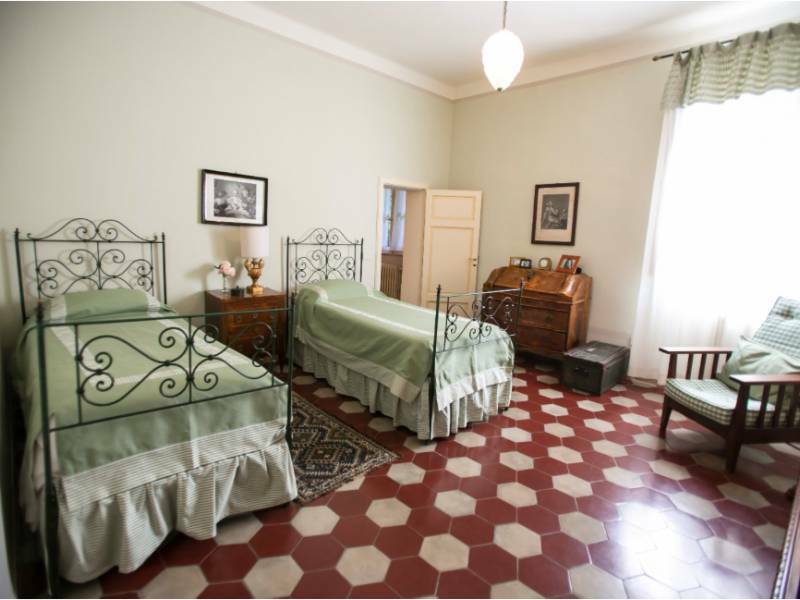 Built in Art Nouveau style with spacious and bright rooms and furnished with antique furniture with modern details. 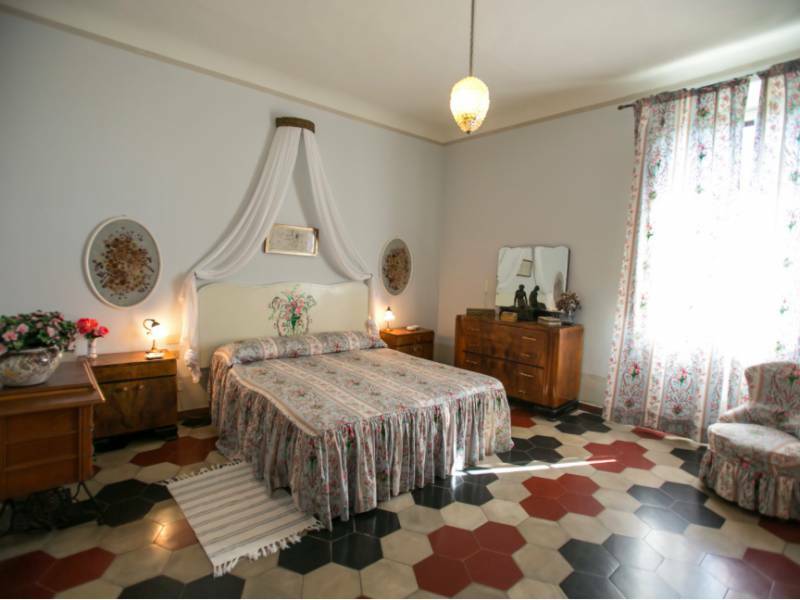 The beautiful original marble tiled floor is typical of that era. 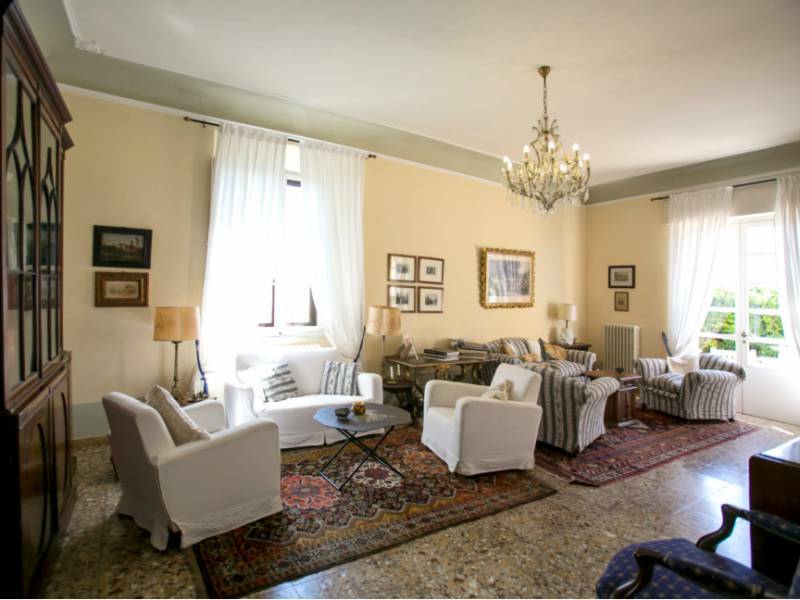 The villa has a spacious living room, dining room, kitchen with oven and dishwasher, four double bedrooms, two single rooms and four bathrooms. Price per room, depending on the size of the room, the season and duration of the stay, including breakfast. Price per day and tourist tax not included. 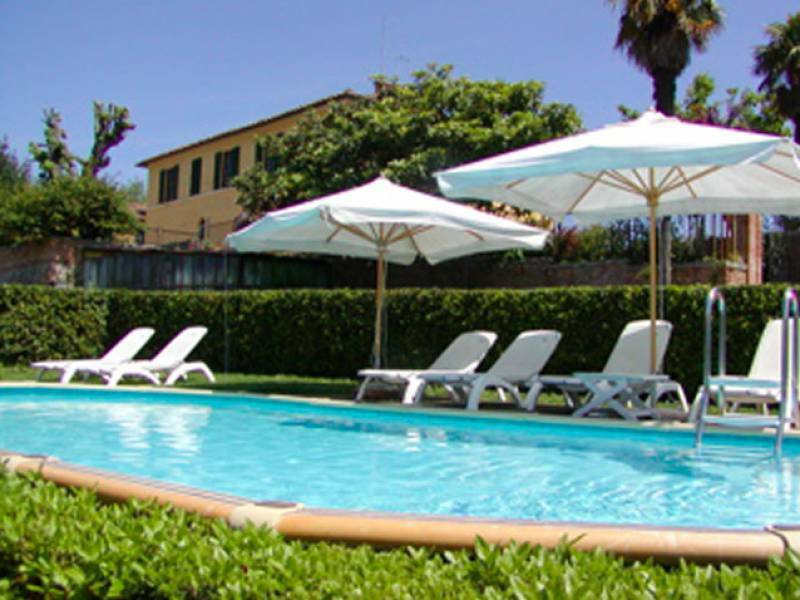 The villa is rented per week, but on request it can also be rented for a minimum of 3 nights.